MANILA: Philippine police will soon have to wear body cameras during anti-narcotics operations and visit suspects’ homes only in the daytime, in an effort to erase doubts about the conduct of those on the front lines of a bloody war on drugs. Police chief Ronald de la Rosa said police would wear body cameras to record arrests, under a Jan 19 memorandum made public on Wednesday that takes effect once the devices are procured. The police are making a comeback in President Rodrigo Duterte’s ferocious anti-narcotics campaign, a few months after he suspended them amid unprecedented scrutiny of their conduct. “Once they are available, we will require them to wear that,” Dela Rosa said of the cameras. “We would have a policy where there will be no anti-drug operations without body-worn cameras,” he told reporters. He did not specify a date by which the cameras are expected to be made available to police, however. Police data shows nearly 4,000 drug suspects were killed since Duterte came to power and launched the crackdown in June 2016, but police insist all died because they violently resisted arrest. Police reject activists’ allegations that they are executing suspected drug users and dealers in a systematic campaign of abuses and cover-ups. In his war on drugs, Duterte has been accused of allowing a culture of impunity to flourish. 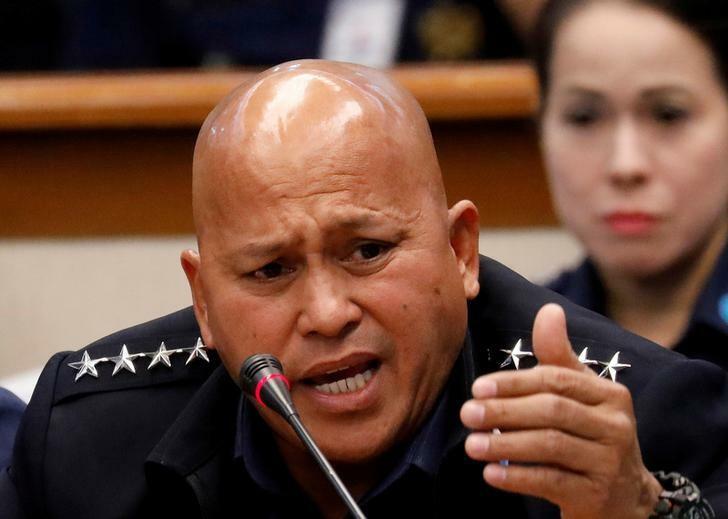 In the same memorandum, Dela Rosa ordered police to immediately take injured suspects to the hospital, and establish a database of those who died in police operations. In June, Reuters revealed that police have shot hundreds of people during anti-drug operations, before taking them to hospitals where they are declared dead on arrival. Police say they’re trying to save lives. Bereaved relatives and other witnesses say police are sending corpses to hospitals to disrupt crime scenes and cover up extrajudicial killings. Police were also ordered to limit the much-feared “Oplan Tokhang” operations, when they visit homes of users and dealers and seek their surrender, to between 8 am and 5 pm (2400-1200 GMT) on weekdays, police spokesman Dionardo Carlos told a separate media briefing. “It has to be daytime, so as to erase the impression that if you have been the subject of Tokhang, you would be killed,” Carlos said, adding police would be required to wear their uniforms during such operations. The Philippines has hit back at New York-based Human Rights Watch for what it called a misleading death toll of more than 12,000 in the drugs war, putting the number at half that.